Women's Suffrage Memorial, Rose Garden / Three Kings / Corten Steel. 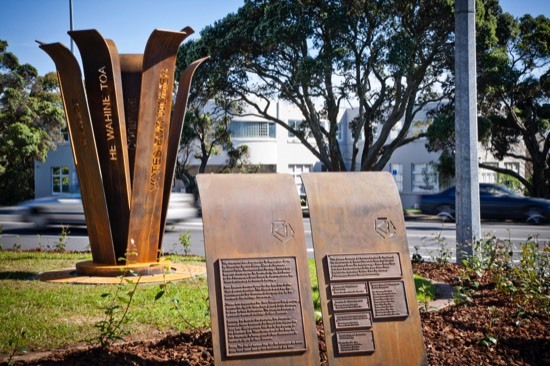 Commissioned by the Puketapapa Local Board and Auckland Council. 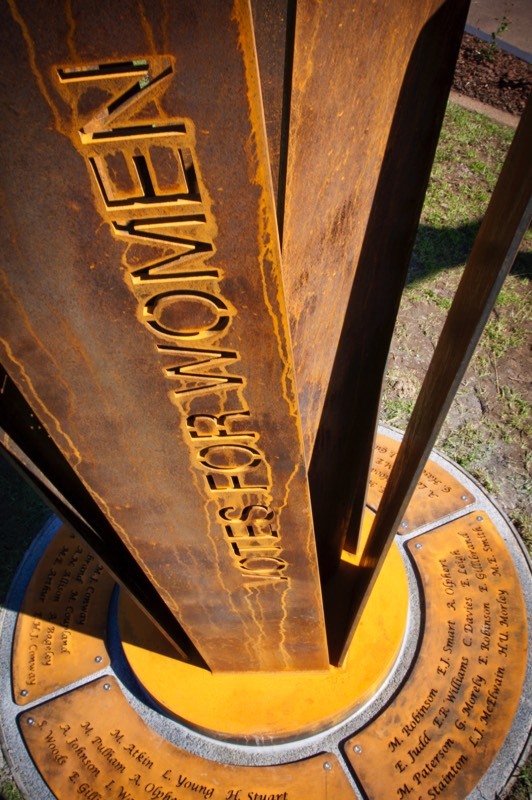 An abstract interpretation of the camellia flower, an important symbol of the suffrage movement, with names of the local suffragettes inscribed around the base.